Gazpacho w/ Strawberry Salad — Happy Food Co.
Ready in 25 Minutes | For the best experience, please skim through the steps before you start cooking. BOIL 3/4 cups water over high heat in a small pot. 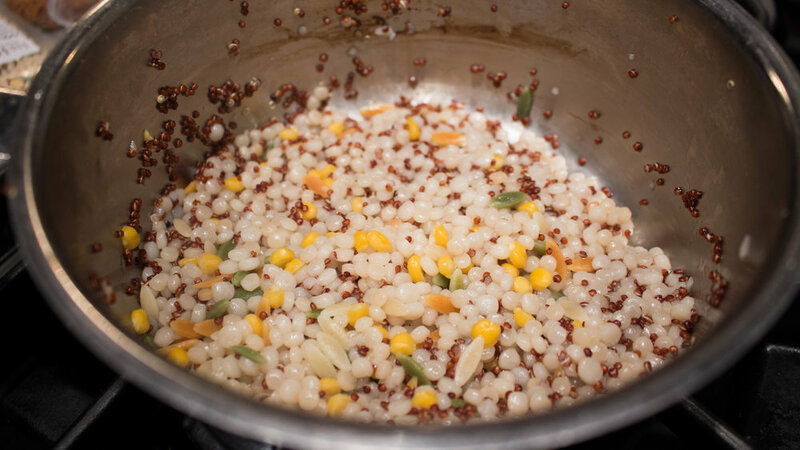 STIR in the golden jewel rice blend and cover with a lid. REDUCE the heat to low and cook for 9-10 minutes or until the liquid is absorbed and rice is tender. MIX the rice with HALF the Garlic Expressions dressing. BOIL enough water to cover the tomatoes over high heat in a small pot. CORE the tomatoes and remove the pit. SLICE an 'X' on the opposite end of the tomatoes. BLANCH tomatoes in boiling water until the skins being to crack about 1-2 minutes. REMOVE tomatoes from the water with tongs and peel the skins off. TEAR local bread into quarters. 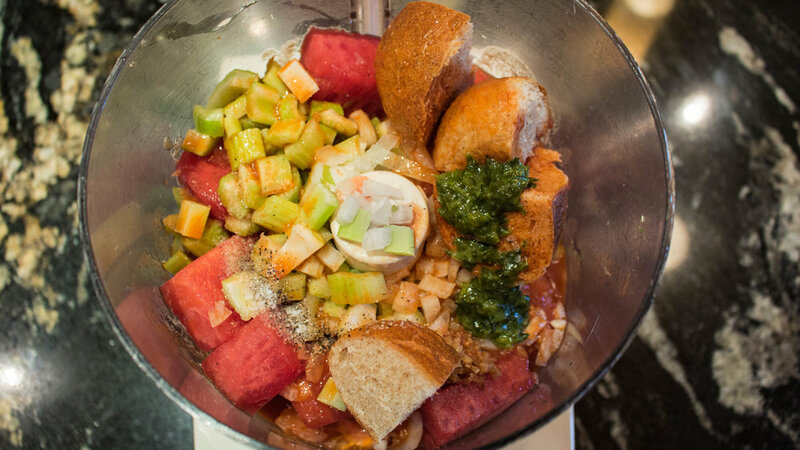 COMBINE tomatoes, minced garlic, celery, onion, watermelon, bread, tomato juice, basil paste, and 1/4 teaspoon salt and 1/8 teaspoon pepper into blender or food processor. 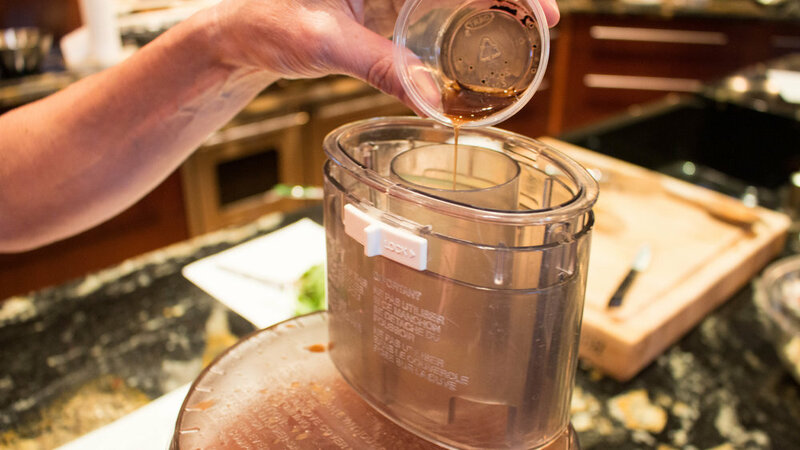 ADD in red wine vinegar and extra virgin olive oil while the motor is still running. RE-SEASON to taste with salt and pepper. REMOVE tops from strawberries and cut into thin slices. 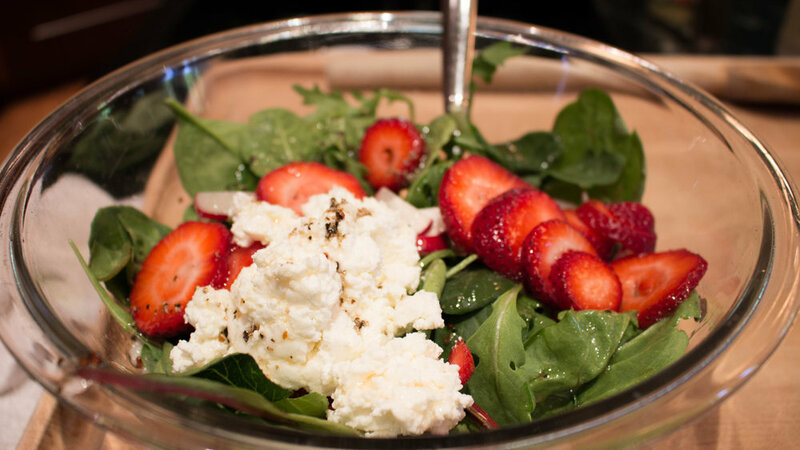 COMBINE baby kale spring mix, sliced strawberries, radishes, sheep’s milk cheese, and rice mixture in a medium bowl. TOSS salad with remaining Garlic Expressions dressing. SERVE the gazpacho with a side of strawberry salad. Enjoy!